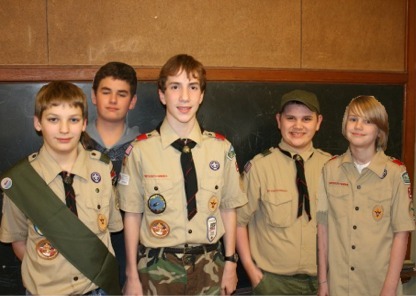 The Venture Patrol of Troop 27 was formed in July, 2010. 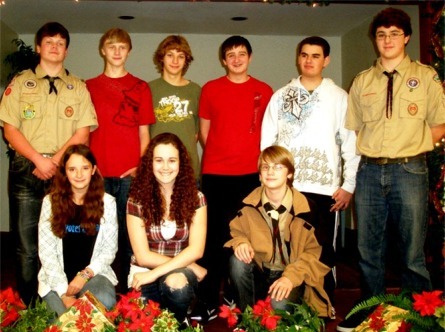 The first seven Eagle Scouts of Troop 27, and two girls formed Venture Crew 27 on November 15, 2010. 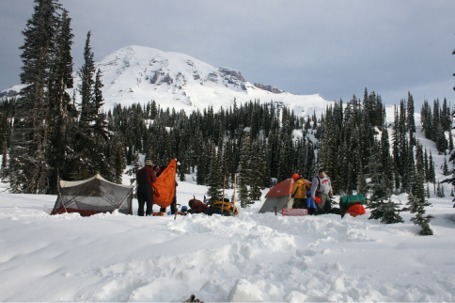 Snow Cave camping at Mt. Rainier in 2010. (left to right), Jesse Long, Alex Ohlson and Max Reetz. 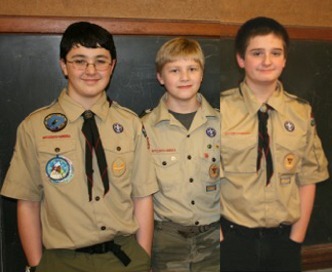 Grant Toepfer (left), Spencer Godfrey (2nd from left) and Dallas Thornton (right). 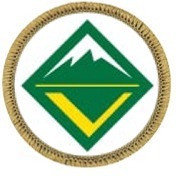 joined to form the Venture Patrol, which later became Venture Crew 27. A Venture Crew is being organized on Fox Island this fall, and we are looking for Gig Harbor area High School aged boys and girls (14 - 21) who are looking for rugged high adventure or challenging sporting activities, in a follow-on program after Boy Scouts or Girl Scouts, that is more age-appropriate for older teens. 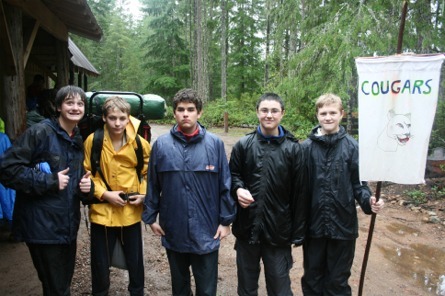 Venturing is a year-round program for young men and women who are 13 (and have completed the eighth grade) through 20 years of age to provide positive experiences through exciting and meaningful youth-run activities that help them pursue their special interests, grow by teaching others, and develop leadership skills. 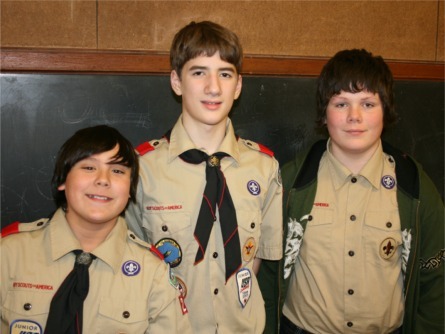 Venturing is a coed program is designed for young adults who are looking for rugged high adventure or challenging sporting activities and still want to be a part of a Scouting program that offers the advancement opportunities and values of the Boy Scouts of America.